Members of Parliament are hunkering down for a week of procedural delays, with opposition parties planning to introduce hundreds of deletions and changes to the government's omnibus Budget Implementation Act. Members of Parliament are hunkering down for a stormy week of procedural delays as the government's omnibus Budget Implementation Act arrives back in the House of Commons for its third and final reading. Opposition parties are planning to introduce hundreds of deletions and changes to Bill C-38 in a last ditch effort to get the Conservatives to split it into a number of smaller bills. 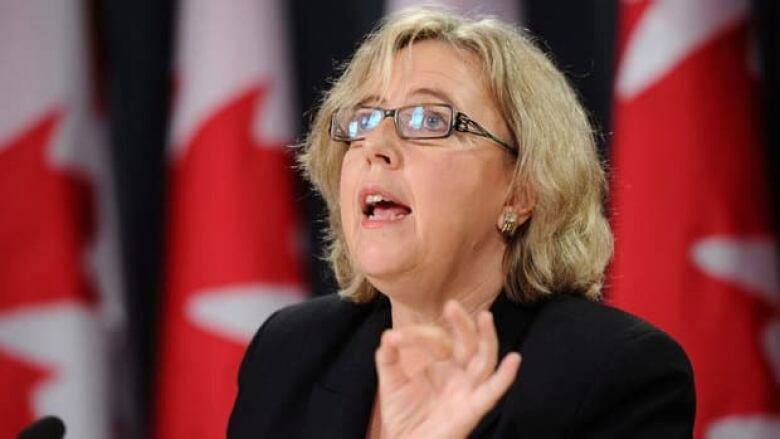 "Any reasonable, conscientious member of Parliament who looks at this horrible bill is going to want to put together amendments that fix it," said Green Party Leader Elizabeth May. "If all my amendments pass," she added, "C-38 won't destroy the environment." A Commons confrontation has been brewing for weeks as the massive, 450-page bill made its way through the parliamentary process. Nearly one-third of the Budget Implementation Act deals with changes to existing environmental legislation. It includes a new Environmental Assessment Act along with important changes to the Fisheries Act, the Species at Risk Act and the National Energy Board Act. The government struck a special sub-committee to examine the many reforms to environmental policies that the bill contains. The bill underwent no changes in committee, and now opposition MPs say they plan to resort to procedural tricks in order to modify it. "We're trying to, of course, alert Canadians to the fact that what the government is doing is outrageous," said Liberal Party House leader Marc Garneau. The Liberals and NDP can only propose the deletion of clauses from Bill C-38. But independent MPs can re-write parts of the bill, so the Liberals are working with May to propose over 300 substantive changes to the bill. "We believe that the amendments that she is bringing forward are good amendments," Garneau said. But government House leader Peter Van Loan charged that opposition MPs are trying to stop the bill from becoming law. "The opposition aren't looking to change this. Let's be frank – they're looking to stop it, to delay it, to obstruct it," he said. "They've made that clear all the way through." Van Loan said the government wants the bill to pass before the House rises for the summer at the end of June. However, hundreds of votes may need to be held before the bill passes third reading, if opposition MPs push ahead with their plan. The Speaker of the House could omit many of the amendments and group the remaining ones together for a single vote. He is expected to rule Monday on the matter, and while that could shrink the number of votes, members would still need to spend an uncomfortably long time in the House of Commons to deal with the remaining ones. The NDP also said the proposed changes will amount to votes of confidence, and if for some reason the Conservatives don't have enough members in the House there's a risk the government could fall. "The government has actually tied the noose around their own neck," said NDP House leader Nathan Cullen. "I mean, this is entirely of their own design and from the beginning we warned the government that this day was coming." May said she wishes there was a way to avoid the parliamentary confrontation. "The whole thing is going to be grim," she said. "And the essence of it is, I feel like I'm taking all my friends hostage."